 Cooling costs represent one of the largest expenses of operating any data center. Yet many data centers are over­cooled, representing a large amount of wasted energy and expense. 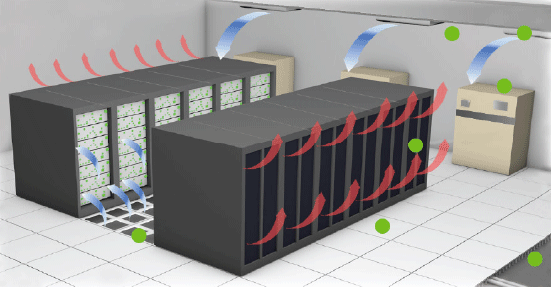 Monitoring temperature and airflow at critical points in your data center provides the information you need to effectively manage cooling and reduce costs while still conforming to industry operating guidelines. Implementing a rack­-level monitoring system based on Packet Power’s wireless network technology is easier and more cost effective than you may think and offers savings that you can’t afford to overlook. Tracking temperature in real time at the rack level provides the information needed to safely raise ambient temperatures, reduce energy usage and carbon emissions, and lower cooling costs by several percent per degree of increase. Hot spots increase stress on equipment and can lead to outages if not detected and resolved. When the cooling systems use less energy, more energy is available for use by IT equipment. And more effective heat management allows for denser cabinet loads. Increasing the efficiency of your current system delays the need to buy new air handling equipment. Monitoring provides the information you need to track and report on performance against SLA requirements and ASHRAE recommendations. By using wireless monitoring units and matching the amount of monitoring to your needs on a cabinet by cabinet basis, you can lower monitoring costs by as much as 60% when compared to other monitoring approaches. Passive cooling, grommets, aisle containment, in­row cooling, chimney systems, liquid cooling, perforated tiles, VSD fans, cabinet­mounted heat exchangers...these are just some of the choices available to improve thermal management. Environmental monitoring provides the information you need to set your strategy, track your results, and refine your approach across time. to get the environmental insights you need. Measure temperature at one to six points per cabinet and combine that with power monitoring data to get an exact real­time view into environmental conditions in each cabinet in your facility. Any DCIM or BMS monitoring application that can accept data using standard SNMP or Modbus protocols will work with our hardware. Use temperature differential data from both the CRAC intake and exhaust and the lower and upper intake points on your cabinets to optimize cooling performance. Packet Power’s self­-configuring network automatically detects new devices and optimizes its performance across time. There’s no need for complex network planning prior to deploying the system and no need to invest time in managing and maintaining it once it is up and running. Monitor pressure differentials at key locations such as inside and outside containment systems, above and below the raised floor, in the return plenum and ambient room, and even in front of and behind certain racks to gain a clear understanding of how air is moving within your cooling zones and across your facility. Our EMX Energy Portal provides full support for real­-time alerts via email, SMS or private Twitter feed, and the unique “policies” feature allows alert criteria based on power or environmental conditions to be defined once and applied to entire rooms. See a real­time map of heat in your facility, and know within minutes the impact of changes in equipment or settings. Packet Power offers the most s​ecure data center monitoring system available today.